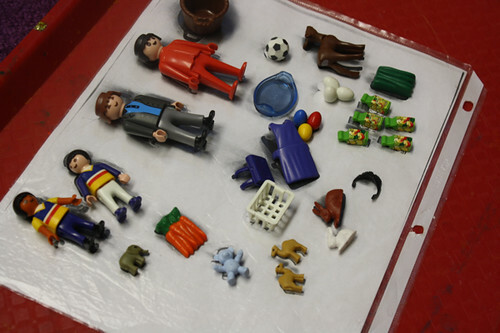 i’ve started bringing some of my home playmobil pieces to preschool. we’ve had good luck keeping them in their own space. no lost pieces yet. 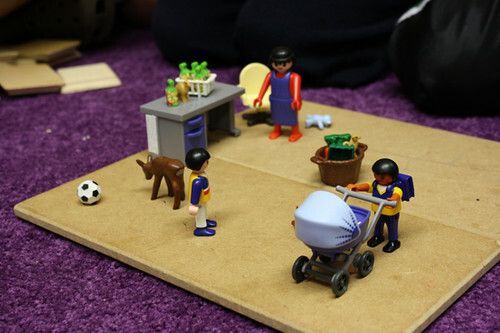 it is encouraging for me to watch children play with teeny tiny pieces in slow and small movements. 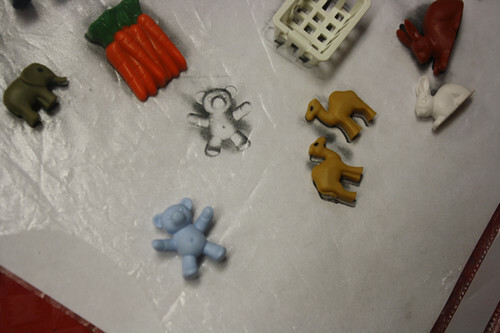 i made a photocopy of some items for the children to match. oh, they like this. for ice week, i brought the ice bergs. 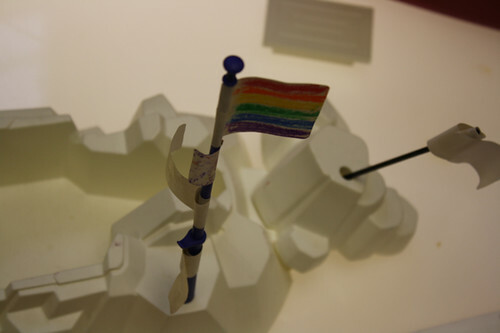 i was surprised at the strong desire for flags. straws, labels and crayons suited just fine. i’m not sure who is more excited….them or me. oh my, what a cool tiny toys! FUN! i love the photocopy idea. I’ve NEVER been able to keep track of our playmobile pieces… what a fantastic way to make sure the little bitty bits don’t get lost!!!!! Have you seen grocery store set?? Talk about FUN! I want one of those for Christmas… ohhh I mean my kids need one. Wish it wasn’t so expensive! 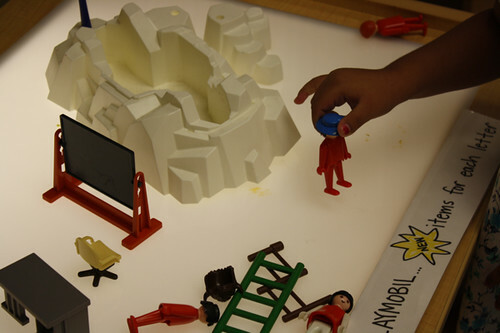 I’m going to do the photocopy thing with my Playschoolers…they’ll love it. I have one class with 8 boys and 2 girls…..have to find lots to keep them amused! Elsie likes looking at these pictures while she is home sick. (I’m sure she will be there Thursday. Her fever was only slight and it is gone right now.) She was able to recognize the top of her head in one photo. I love the photocopy and match! You can also take a picture with your digital camera and print out (large) for matching.